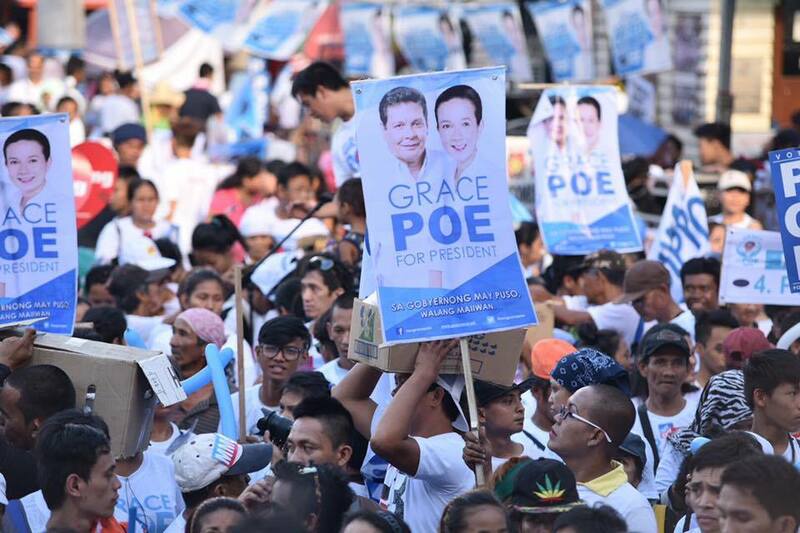 MANILA, Philippines - Independent presidential candidate Senator Grace Poe's grand rally is happening tonight, May 7, at the Plaza Miranda in Quiapo, Manila. Among the artists who supported Poe in the miting de avance were Giselle Sanchez, Ruby Rodriguez, Epy Quizon, Carmina Villaroel, Ogie Alcasid and the superstar Miss Nora Aunor. 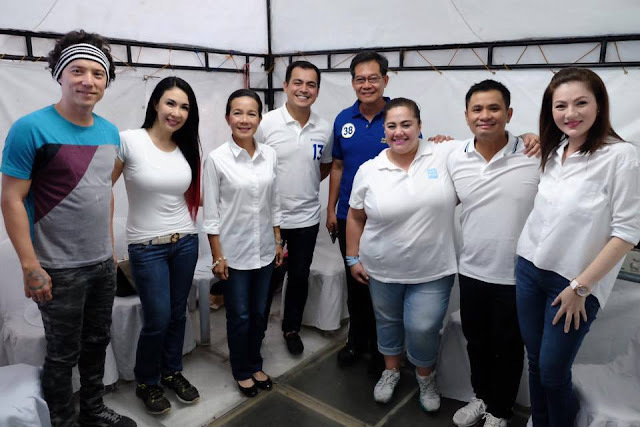 Ogie Alcasid, Carmina Villaroel and other celebs support Sen. Grace Poe. 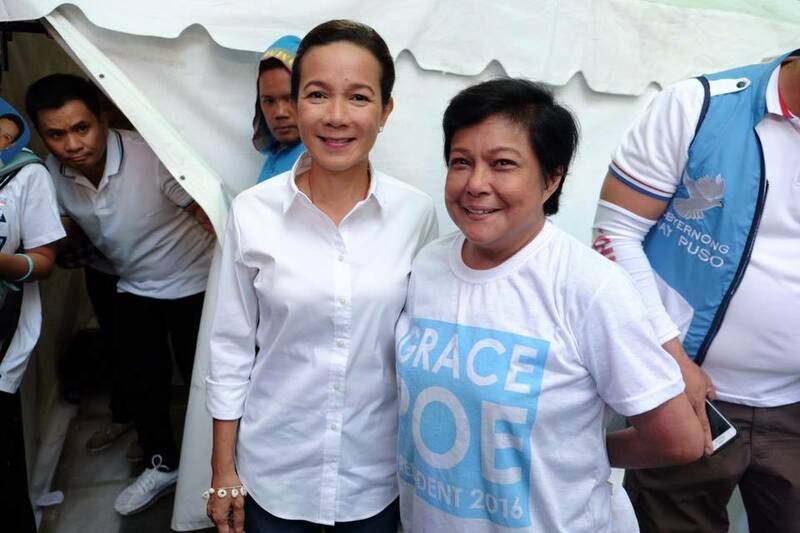 Senator Grace Poe with the Supersstar Miss Nora Aunor. On Friday, Poe announced that she is willing to talk with Liberal Party standard bearer Mar Roxas but clarified that she will not withdraw in the presidential race. ''Marami na akong pinagdaanan, at ang dala-dala natin dito ay ang mga pangarap at pag-asa ng ating mga kababayan na 'di dapat sigurong dapat ikompromiso,” Poe said in an interview. Roxas sought for a meeting with Poe hours after the latest Social Weather Stations (SWS) poll showed that the PDP-Laban Standard bearer Mayor Rodrigo Duterte remained the top choice for president with a 33% preference rating among 4,500 registered voters across the country. Note: All photos courtesy of Sen. Grace Poe's Facebook page.